The last Russian tsar seems to have had an equivocal attitude towards moving pictures, personally enthusiastic yet fearful of their social impact. Already an enthusiastic photographer, he was one of the first of all monarchs to see the Cinématographe, when Alexandre Promio gave a court presentation on 7 July 1896. Another Lumière operator, Charles Moisson, had filmed his coronation on 14 May of that year, contributing eight subjects to the Lumière catalogue (nos. 300-307); and Moisson's assistant on that occasion, Francis Doublier, told Jay Leyda that they had also been filming when the Tsar's distribution of alms two days later ended in a crowd disaster with many killed. However he claimed that the police had immediately confiscated both camera and film. Nikolas created the post of 'court cinematographer', which appears to have been held by as many as five people, including Boleslaw Matuszewski, K. von Hahn, V. Bulla, Aleksandr Drankov and Aleksandr Khanzhonkov, the latter two of whom would become Russia's first important film producers. 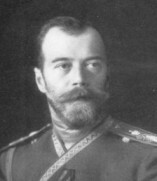 Yet another Lumière operator, Félix Mesguich, claimed to have shown a new Cinématographe programme to the Tsar in Autumn 1897 at his southern palace in Livadia. In 1911 the Tsar encouraged Khanzhonkov, who had been an army officer before entering the film business in 1906, to produce the commemorative Defence of Sebastopol, at 2,000 metres one of the longest films made anywhere by that date. Closer co-operation followed, when in 1913 both Khanzhonkov and Drankov were allowed to breach normal censorship restrictions covering portrayal of the imperial family for two films marking the tercentenary of the Romanovs, Accession of the Romanov Dynasty and Tercentenary of the Romanov Dynasty's Accession to the Throne. 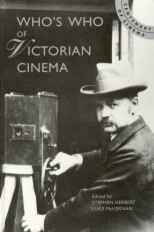 Despite the success of these ventures, police reports were reaching Nikolas of films which could be considered socially disruptive, and in 1913 he wrote in the margin of one such report: 'I consider cinematography to be an empty, useless and even pernicious diversion. Only an abnormal person could put this fairground business on the same level as art. It is all nonsense and no importance should be attributed to it.' No contemporary film record remains of the revolutions which deposed Nikolas and eventually executed him and his family, but his homes movies were used by Esfir Shub in her third compilation film The Russia of Nikolas II and Lev Tolstoy (1928); and when he was first portrayed in a Soviet historical fiction film, Elem Klimov showed him at work in his darkroom in Agonia (1975-81).